At J & J Removals, our Portsmouth Removals vans are fully insured and equipped with protective blankets, trolleys - in fact everything that's needed to make moving home go swiftly, smoothly and at the same time safeguarding your furniture. We are a removal company providing light removals and larger removals which include domestic, student and office moves. With many years of experience, we promise to provide a reliable, efficient and affordable service. 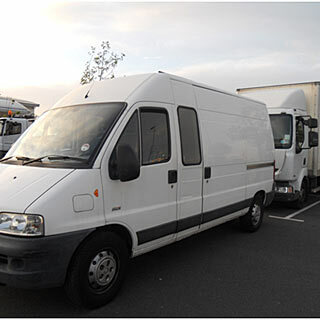 We guarantee to give you peace of mind in the transportation of your property with our insured, friendly and efficient man and van service throughout the Portsmouth area. J & J Removals are fully licensed for waste carrying with the Environment Agency to clear your unwanted goods. From clearing gardens, garages, sheds, and attics on a domestic and commercial basis. As well as removals we provide furniture clearance, house clearance and domestic clearance and rubbish clearance. Full payment in cash is required at the end of the removal. J & J Removals pride ourselves on giving the best possible service we can to our customers. We are professional and courteous and we will be there when we say we will be there, come rain or shine. By choosing J & J Removals to take care of you and your needs, you will receive a professional and reliable service that will not break the bank and leave you safe in the knowledge that your move is being looked after by a company that cares. We are dedicated to giving our customers great service at a price that is fair and competitive. Please call John on 07788 155724 or email jowens22@hotmail.co.uk for a free, no obligation quote today. When phoning for your quotation, please be as clear as possible when describing the items that you have in order for us to give you an accurate price. We know that moving home is very stressful, and we find that honesty is the best policy. 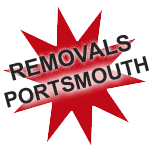 &J Removals Portsmouth. All rights reserved.